The designer can come up with and create individual home design project. 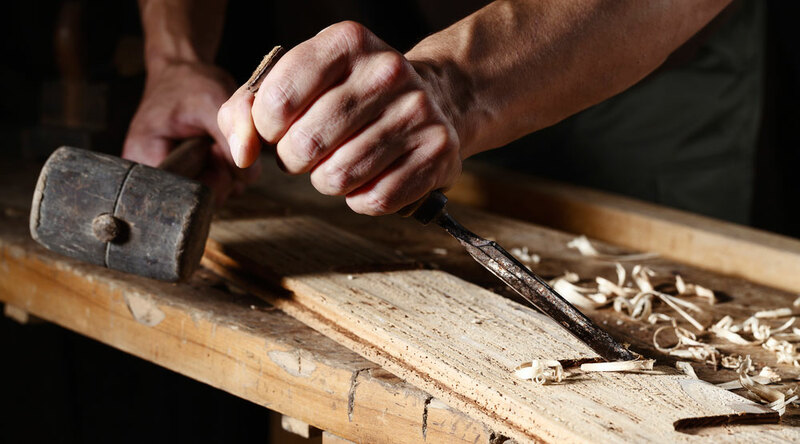 A carpenter will make furniture and all woodwork, bringing the designer’s ideas to life. Working on the product, a qualified joiner is based on the sketch and drawing. But not everyone can accomplish what was intended. And what is the result? The client is dissatisfied, and the designer has to shovel away, because it was he who painted the dream house. What is necessary to pay attention to the first conversation with the carpenter? What questions to ask and how to understand that you are a professional? There are a number of signs by which you can determine that you are dealing with a specialist in your business. Most likely, your relatives, friends and acquaintances have already used the services of such a master. According to the recommendations, you can understand how competent and professional the carpenter is in his field. No friends who used the services of a joiner. Then the Internet comes to the rescue, where you can find reviews for everything and everyone. It will also be useful to enter the page in social networks. Better to see once than hear a hundred times. The joiner’s business card is his portfolio, which contains the most interesting work. Every self-respecting specialist constantly supplements, corrects and updates the portfolio with examples of implemented projects. Thus you can see and make sure you have your own carpenter workshop. This will act as a guarantee for the project. Now there are many profane, who may even have a crust, but zero experience. Contacting such you will get a lot of problems instead of the expected result. For example, under the guise of quality and expensive material you will sell “Chinese chipboard,” etc. Proof of work experience is portfolio and feedback. A person who has been working in this field for more than one year, has quite a wide terminology in the field of construction, architecture and interior design. But he does not pour it like a horn of plenty just to attract a client. A speaks exclusively in the subject and the word. In order to understand the level of professional communication, ask questions that interest you about materials, etc. And whether the carpenter has diplomas, certificates, etc? Yes, we do not exclude nuggets, but for peace of mind it is better to choose graduates. Of course, everyone wants to find super-quality for cheap. This does not happen, but you can find good quality for a reasonable price. So you can see what a master is like without risking a lot of money. If you are satisfied with the candidature and you are ready to cooperate, the next step is to conclude a contract. The agreement must be specified dates and the terms of reference are spelled out. Also need to fix payment order and determine terms of termination of cooperation. We have been working in this field for more than a decade. Can and know how make high-quality wood furniture. We can translate your idea into reality! This entry was posted in Useful tips. Bookmark the permalink.